LOL you know I'd thought that I'd gotten use to getting story ideas from odd places or things, but I guess I can still be surprised. How about it, anything weird give you a great idea for a story? Ooooo... what a good idea. I have had those strange aha moments, seeing something. I just can't remember any now... ! I thought it was just me but a lot of times I get an idea where to take a plot from flipping through pictures or art. Recently, I've added You Tube as a source of inspiration. 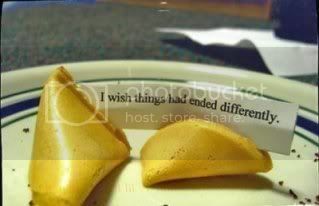 Love the fortune cookie pic. Nara, nope you are not the only one, I'm a very visual person. Cool, a You Tube idea, sounds interesting.